It’s rad! 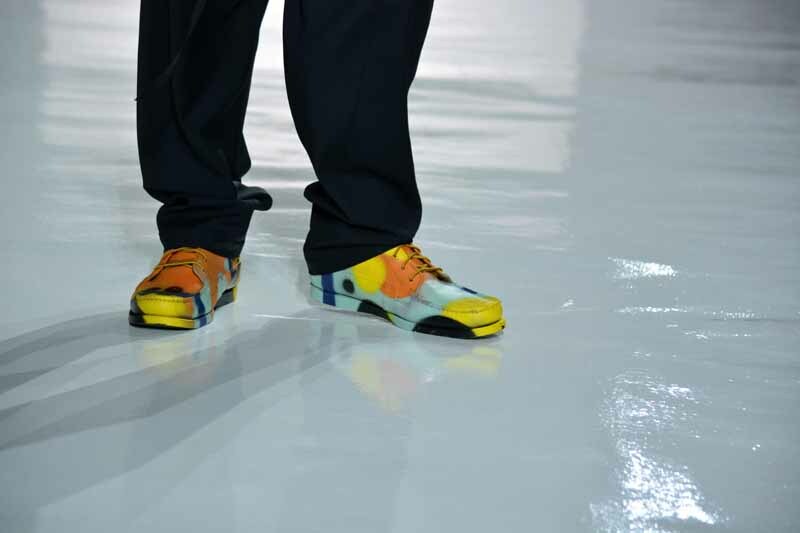 That’s the first description that came to mind with the new shoes unveiled at the Duckie Brown Spring 2016 show. Created in collaboration with Eastland, designers Daniel Silver and Steven Cox just raised the level of coolness of men’s shoes. They are so cool, they are hot! 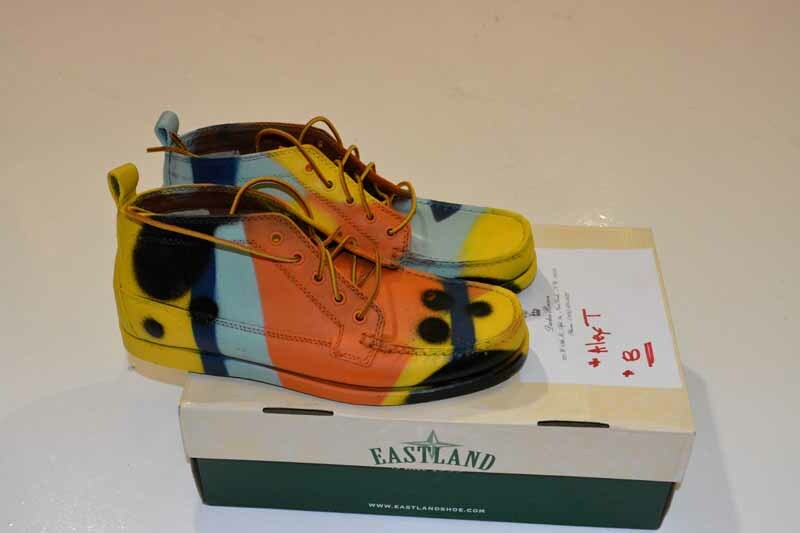 Using the Eastland camp moc classic in a five-eye chukka as basis, the design duo worked with a graffiti artist to create original artwork, and sprayed the shoes different colors to go with the collection. The result, a very avant-garde raised the ante on fashionable shoes.